Western Ford JSC, abbreviation name is Western Ford, was founded in April 2002, is the official authorized dealer of Ford Vietnam in the South of Vietnam and is the largest dealer which is invested and equipped with the most modern and best equipments among all the Ford dealers in the whole country. 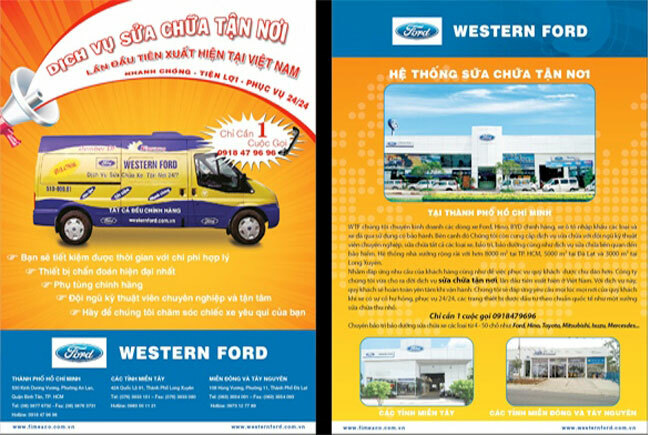 Western Ford is located at the gateway to the western provinces of Vietnam (next to An Lac bridge, Binh Tan District, Ho Chi Minh City). 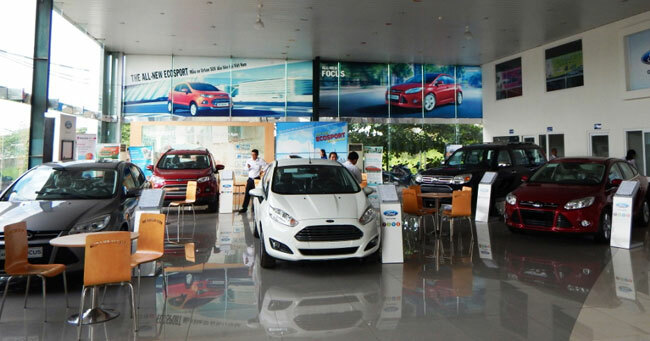 With such a special location, Western Ford has been authorized as the official dealer of Ford products in the southern provinces by Ford Vietnam. Customers absolutely feel secure to buy cars at Western Ford – we’ll give you genuine Ford cars with the best quality and the most preferential price. • The showroom is over 400m2, luxuriously designed,modern, airy in accordance with the standards of the Global Ford. 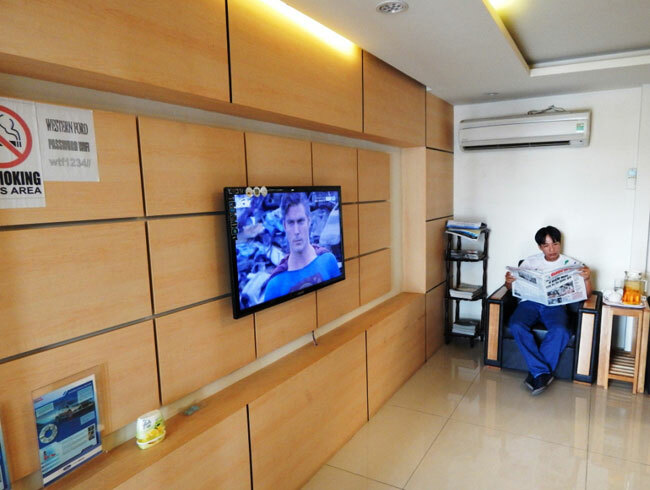 • The waiting room is equipped with television, internet, magazines for your comfortable relaxation while waiting for getting the cars or business contacts. • The playing and entertainment area for children. 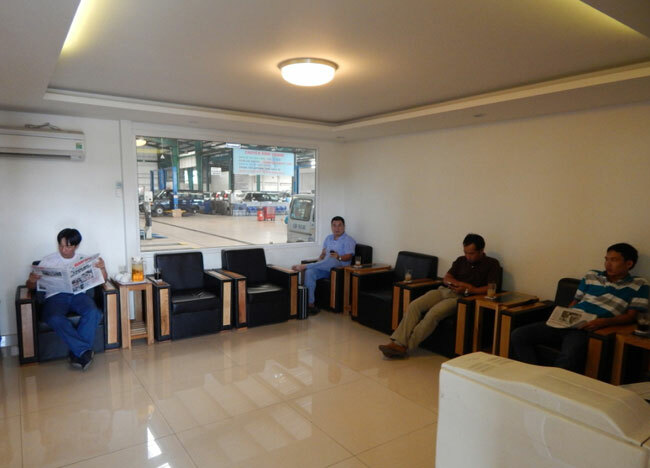 Rest & entertainment area while waiting for the cars or business contacts. 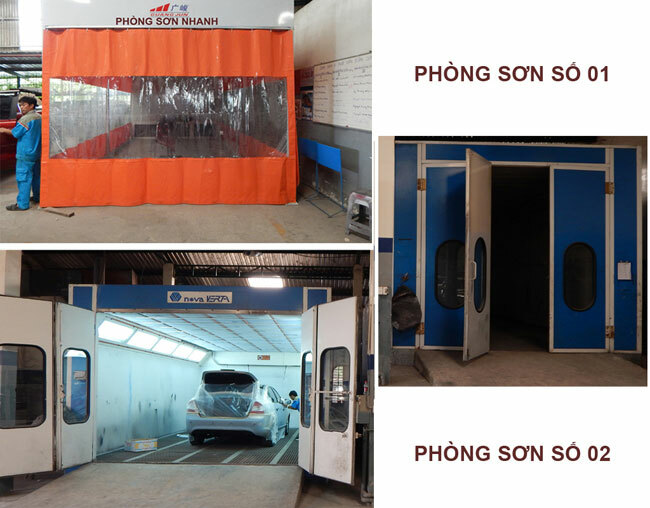 Besides, in order to meet customers’ demands on getting new cars and clearing old cars, we carry out the program “Collecting old cars, getting new cars” with the best guarantee of rights for customers. Moreover, customers can pay directly in cash or pay in instalments through sponsor banks or financial leasing companies in cities or provinces with a loan from 10% – 85% and with fast procedure. With such utilities like this, we are absolutely able to proud of and do our business with the motto “All for the benefit of customers”. To meet the increasing demands for quality repair and maintenance, we have invested the most modern equipments, advanced and specialized instruments with international standards which are imported from abroad. With such investments on the workshop of over 2,500m2. 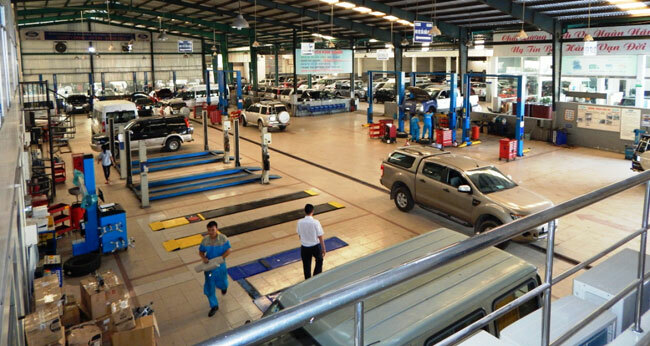 The service workshop of Western Ford is considered one of the largest automobile service factories in Ho Chi Minh city and throughout the country. • The repairing area with 12 lifting boards of many loading capacities and 3 sections for quick repairing. 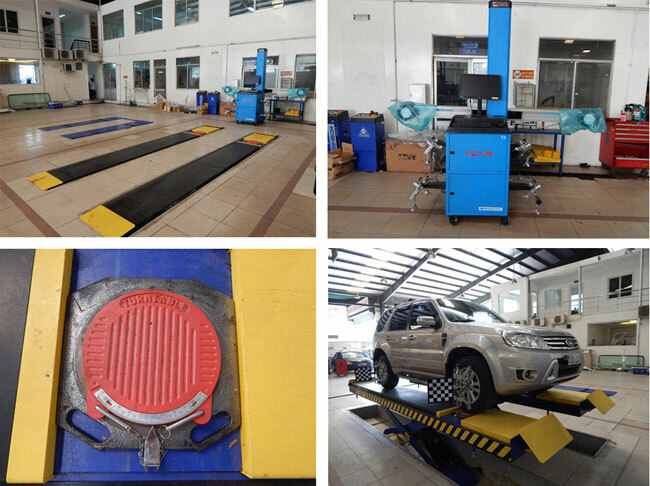 Besides, Western Ford has invested the equipments such as wheel checking machine, electronic steering balance according to the most modern technology of Italy, and many other modern machines. To meet the demand for quick repairs we have invested the two rooms for quick paints to help customers save time when you have your cars fixed at Western Ford dealer. • Service consultants are professional in checking and diagnosing out-of-order or breaking-down conditions of cars, quoting prices quickly, time of finishing and delivery are reasonable..
• The repairing process is performed step by step, repairing while checking quality of finished cars. After we complete the repairs, customers receive the cars in the best condition, with the best quality and the cars are always clean. • The customer care team are considerate and hospitable. Our customer care staff always update information of each customer’s profile, schedule the maintenance, remind customers of car checking and maintenance. • We have the salvage team with specialized means to serve customers all over the provinces of the country. Our team are 24/24 hours available to meet all cutomers’ requirements about car fixing when you get troubles on the roads. • The factory area is always tidy, neat, orderly; car repair tools are always available and perfect; specialized spare parts are available,… We meet all customers’ needs about warranties and repairs for Ford vehicles and also for all kinds of vehicles from 04 -50 seats. 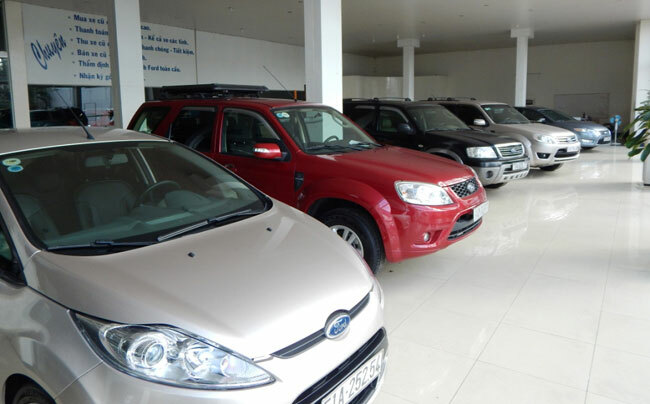 Beside the investments in equipments and factory, we also make efforts in training the technical staff: 90% of technicians of our agent are certified with the Master certificate of Ford Vietnam. This is the highest number in the whole country. On August 6th, 2003, under the inspection and recognition of the Quality Care experts of Ford in Pacific-Asia, Western Ford has been excellently certified and got the Quality Care certificate. With this certificate, Western Ford again affirms the comfort, satisfaction, prices and service quality. Western Ford is the only agent or dealer of the seven dealers who has got the most number of awards with 5 awards among the 14 awards rewarded. 2. The agent with the best material facilities. 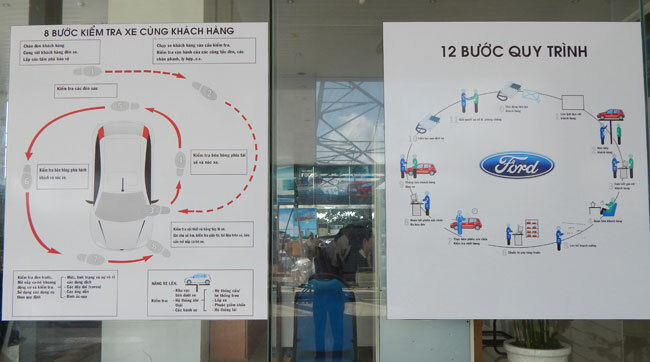 In March 2006 and in May 2006, in the presence of representatives of Ford Vietnam, the guests, local officials and press agencies, Western Ford solemnly opened the two branches with the 2S standards: An Giang Western Ford (Western Ford in An Giang province) and Da Lat Western Ford (Western Ford in Da Lat city) with the commitment “Together with the success of our customers” which were also built and operated with the same model as Ho Chi Minh city Western Ford (Western Ford in Ho Chi Minh ciy). 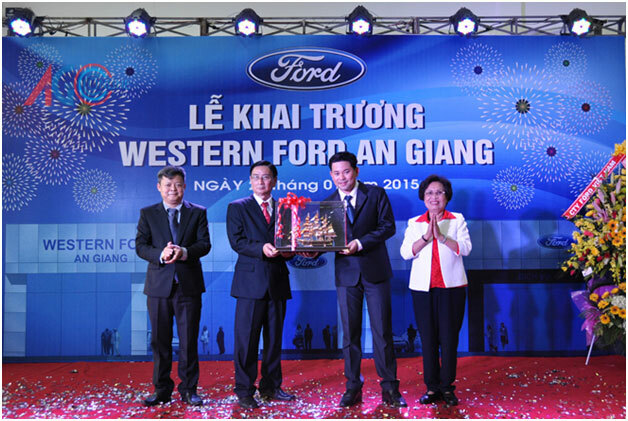 On January 29th, 2015 An Giang Western Ford launched the new bigger branch office with the 3S standard. With the introduction about Western Ford’s business activities, we expect that Western Ford will be always the reliable company for you to choose the most perfect Ford cars with the best price and after-sales services.